Yesterday a TV commercial for Final Fantasy XIV: A Realm Reborn was aired in Japan during the Mezamashi TV morning broadcast on Fuji TV. You can see the clip down below thanks to Youtuber dondon banban. While very interesting in its own right, the commercial hides a little mystery. 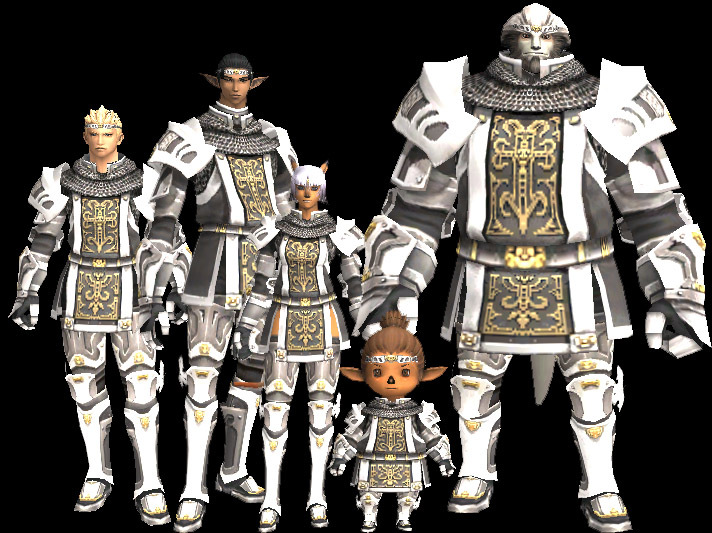 The main character is portrayed wearing what looks like Paladin artifact armor, but the colors are radically different, and more similar to the Relic gear you could find in Final Fantasy XI (portrayed below, picture courtesy of FFXIclopedia). 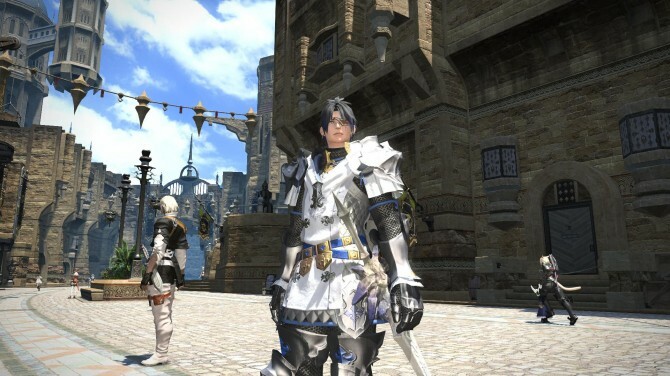 Considering that in the Letter from the Producer Live IV Director and Producer Naoki Yoshida confirmed that the use of dyes with Artifact gear would not be available at launch, we’re left wondering if the armor portrayed in the commercial is Final Fantasy XIV‘s version of the Relic gear, or some similarly upgraded version of the Artifact armor. 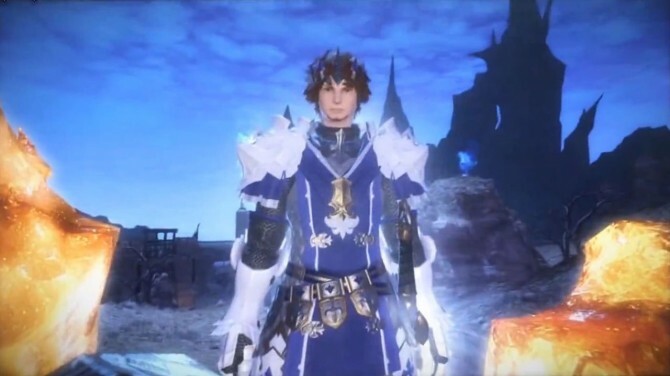 Of course it could just mean that they just decided to allow the use of dyes with Artifact gear, but the color pattern seems quite different (a picture of the actual artifact is at the very bottom of the post), so I’ll chalk it as unlikely. Check out the commercial below and see for yourself. Update: Square Enix just released the official version of the clip, titled “Parallel Visions”, and you can now see in all its glory below.